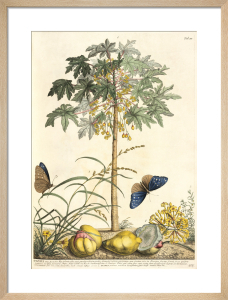 George Ehret (1710-1770) is one of the foremost botanical painters of all time. He began his familiarity with nature as a gardener's apprentice, but his artistic skill was quickly obvious. He soon acquired wealthy patrons who supported his travel across Europe to complete exquisitely beautiful botanical studies. He excelled at still-life, choosing flowers as the focal point. 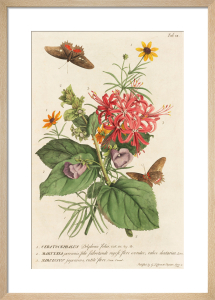 These finely detailed prints bring the best of nature to any room.